ENFORCEMENT OR SOCIAL SERVICES INTO YOUR HOME WITHOUT A WARRANT. You have three (3) options to home school in South Carolina. 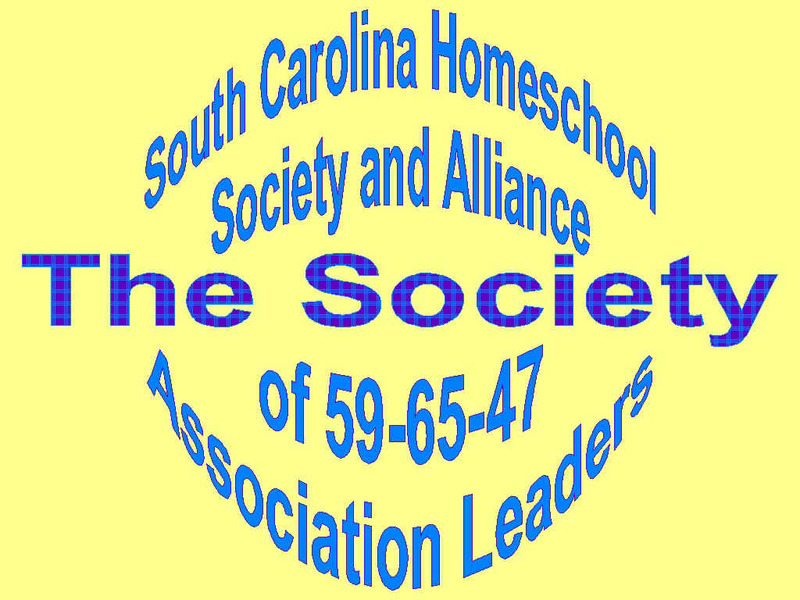 Option 1 -SC § 59-65-40 - Home school through your local school district. Title 30. PUBLIC RECORDS Chapter 2. FAMILY PRIVACY PROTECTION ACT OF 2002 SECTION 30-2-20. Privacy policies and procedures required of all state entities. [SC ST SEC 30-2-20] All state agencies, boards, commissions, institutions, departments, and other state entities, by whatever name known, must develop privacy policies and procedures to ensure that the collection of personal information pertaining to citizens of the State is limited to such personal information required by any such agency, board, commission, institution, department, or other state entity and necessary to fulfill a legitimate public purpose. SECTION 30-2-30. Definitions. [SC ST SEC 30-2-30] For purposes of this act, the following terms have the following meanings: (1) "Personal information" means information that identifies or describes an individual including, but not limited to, an individual's photograph or digitized image, social security number, date of birth, driver's identification number, name, home address, home telephone number, medical or disability information, education level, financial status, bank account numbers, account or identification number issued by or used, or both, by any federal or state governmental agency or private financial institution, employment history, height, weight, race, other physical details, signature, biometric identifiers, and any credit records or reports. (2) "Legitimate public purpose" means a purpose or use which falls clearly within the statutory charge or mandates of an agency, board, commission, institution, department, or other state entity. attendance laws. 1984 Op Atty Gen, No 84-12. p. 42. Statutory provisions do not authorize students to be taught by anyone other than their parents or guardians in a home instruction setting. 1989 Op Atty Gen, No 89-22, p. 60. Requirements of 59-65-40 must be met before parents or guardians may teach their children at home. This is so regardless of whether, in absence of 59-65-40, home instruction would constitute private school or "member school" of organization of other home schools within meaning of 59-65-10. 1991 Op Atty Gen, No 91-8, p. 36. The home instruction law does not authorize on-site visits to a home prior to approval of a home instruction program, nor does it authorize subsequent visits to determine whether standards are being met; prior visits would only be permissible with the agreement of the parent or guardian as an alternative to providing additional information about the place of instruction. 1989 Op Atty Gen, No 89-22, p. 60. DON'T INVITE LAW ENFORCEMENT OR SOCIAL SERVICES INTO YOUR HOME WITHOUT A WARRANT. This waives your right under illegal search and seizure under the Constitution. This will allow them to come into your home at ANY TIME and search and seize your children or belongings. KNOW YOUR CONSTITUTIONAL RIGHTS The Bill of Rights, part of the United States Constitution, is the law. Unfortunately, we the people, often don't know what our rights are. Berry, Quackenbush & Stuart, P.A. (Joining HSLDA (Home School Legal Defense) is not mandated or required to join New Beginnings Home School Association. This is only an option we are telling you about, should you not be able to afford PPL or an private attorney. Center For Children's Justice, Inc.
Case Restrictions: Cases are prioritized. Case Restrictions: Civil cases only. Legal Services Agency of Western Carolina, Inc. Domestic Violence, Education, Elder Law, Employment, Health, Housing, Juvenile, Public Benefits, Real Estate, Termination of Parental Rights, Wills and Estates Case Restrictions: All LSC restrictions.